This intensive course abroad is designed to offer students an enriching cultural, linguistic, and academic experience in a specialized area of study within their psychology major. Students will gain an in depth look at mental health issues in Argentina’s criminal justice system. The course offers students the opportunity to develop or build on previous forensic psychology experience (classroom and/or research) by learning about mental health issues in forensic psychology in Argentina. Understand the process of identifying and treating mental health needs in Argentina’s criminal justice system. Understand the role of forensic psychologists, forensic psychiatrists, lawyers, and judges in addressing mental health issues in Argentina’s criminal justice system. Be familiar with juvenile and adult court proceedings in Argentina. The course will involve a combination of classroom learning; facilitated discussions with attorneys, judges, and forensic psychologists and psychiatrists; and visits to a state mental hospital, prison, juvenile court, and/or adult court. Argentinean forensic psychology students and young professionals will attend the first day of the course with Drexel students, with the goal of broadening students’ cultural experiences and enriching classroom discussions. 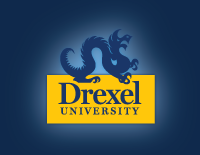 All classes involving institutional tours and observations will be taught solely for Drexel students. Students will tour Buenos Aires, viewing historic sites and key landmarks and learning about Argentina’s national and provincial governments and legal systems. In addition to course time, Dr. Goldstein and her Argentine colleagues will organize tours and social events to enrich students’ travel experiences. Basic Spanish language is not required but will enhance students' experience in Argentina. Students will also benefit from having completed a forensic psychology course or forensic research/lab/applied experience, though it is not required. Students will be registered for PSY 480: Forensic Mental Health, 4 credits as part of their winter term course load. Students must leave space for this 4 credits in their winter term credit load or will have to pay for exceeding the 20 credit maximum. The 4 credits for this program are not optional. Review the Syllabus for PSY 480 Mental Health and the Criminal Justice System in Argentina. Naomi E. Goldstein, Ph.D., Professor of Psychology and Co-Director of Drexel’s JD-PhD Program in Law and Psychology. *Students may choose to extend their travel independently before or after program dates but are fully responsible for all logistics on those days. Guided walking tour of La Plata Visit La Plata’s famous cathedral, Plaza Moreno, and the business district. Group lunch. Group errands (e.g., cash machine, supermarket, drug store). Sunday, December 9: Visit to La Republica de Los Niños or other tourist activity (TBD and pending weather). Tour and Overview of Argentina’s Juvenile Court System: Tour of Argentina’s penal court and system overview provided by a Supreme Court Judge from Buenos Aires Province. Class at the School of Medicine: Lecture provided at the National University of La Plata on the school-to-prison pipeline. This is a joint academic activity with students enrolled in the Master’s Course in Forensic Psychology. Guided tour of a psychiatric hospital. Overview of Argentina’s approach to inpatient mental health care provided by the hospital’s lead psychologist. Additional information provided by nurses, physicians, and social workers, as well as by patients. System overview and discussions with a child psychologist from the Children’s Hospital of La Plata. Tour of Argentina’s penal court and system overview provided by a federal prosecutor. Wednesday, December 12: Tour of Buenos Aires: A full day, guided tour of the City of Buenos Aires. Guided tour of a psychiatric prison. Overview of the mental health care and justice system approach to mental illness provided by the prison’s superintendent, mental health director, and consulting psychologist and psychiatrist. Additional information provided by medical and social work teams, as well as by corrections officers and patients. Lecture and discussions about forensic mental health assessments in Argentina and Chile. Ethics of the evaluation process and the intersection between legal and mental health priorities will be emphasized. Issues of psychopathy and risk assessments will be discussed. Meeting with a federal prosecutor to discuss differences between U.S. and Argentina’s legal systems. She will also provide information about prosecution of alleged human rights violators from the time of the country’s military dictatorship. A leading forensic mental health expert will discuss the role of mood disorders in Argentina legal issues. Final group discussion. Generate ideas for research questions based on the week’s experiences. Finalize individual research papers for final course assignment. Housing: Drexel students will be staying in furnished, long-term stay apartments that include fully equipped kitchens with oven, microwave, refrigerator, coffee pots, plates, silverware, pots, pans, etc. The apartment is located in the City Center and within walking distance of restaurants, cafes, and shopping. Travel Details: Students will be provided with the recommended flight itinerary and responsible to book this flight independently. Airport pick up and drop off in Argentina will be provided for students on the recommended flight. Should a student travel on a different flight(s), it will be his/her responsibility to arrange ground transportation to La Plata. Ground transportation to the airport will not be provided for students who wish to travel in Argentina after the program has ended, and supervision will only be provided during the program dates. Visa: US citizens are not required to apply for a visa. Students of other nationalities should check on the Argentina Embassy website for requirements. NOTE: Dates listed are for arrival and departure. Students must arrange early final exams with their fall term professors in order to participate.